Packed with minerals such as selenium, zinc, potassium, magnesium and Omega3 Fatty Acids. Delicious and simple! until roughly chopped. Set aside. in food processor and blend until smooth. 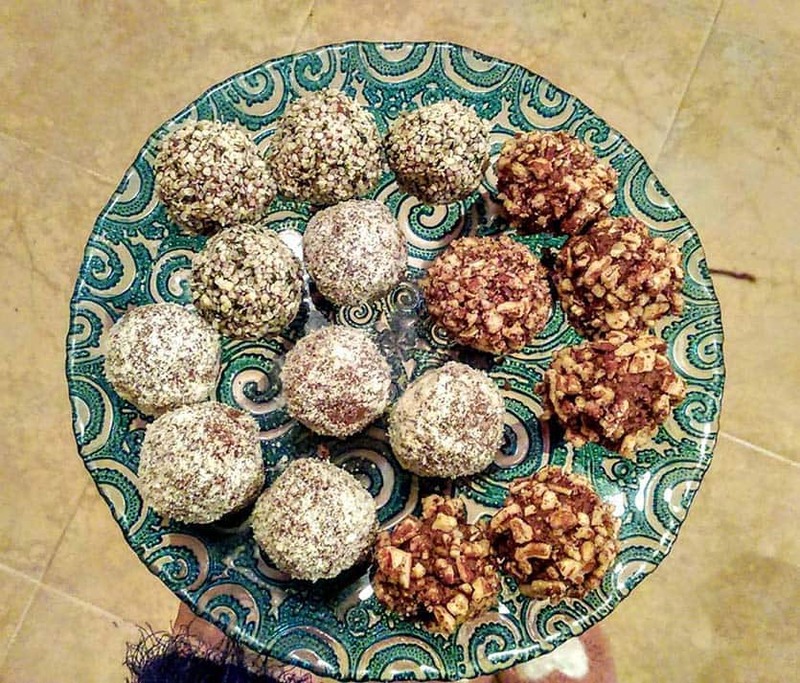 mixture and roll in balls. ground almonds and hemp seeds. bag for up to 4 days.